I see USB connector on the "Ethernet Adapter", is it possible to charge the tablet through these USB connectors? Where can I find it? Or more information? Yes go ahead Samsung and make new devices, while you forget updating previous ones...! I read the Samsung 12" tablet will be on sale for £649. Seriously. Do they think we are made of money?. I wanted a tablet with the stylus, but only Samsung seems to have both the hardware and software. The Advent Tegra 7" at £139, is a good alternative, but I don't like their writing software, as Samsung's notepad is a lot nicer. The Samsung 10.1 at £299 is priced okay, but if they updated with the same software as the Note 10.1 2014 edition, it would give those on a budget an open door. The notepad on the 2014 edition is a lot nicer and usable then on the older 10.1 edition. wow...slap me if im dreaming..mostly "Galaxy Tab Family" only provide cheaper price and low performance..but Galaxy Tab Pro is different story ?..from 2 core into 8 core cpu, plus this new Machine almost look alike with "Galaxy Note Pro"..seriously where the different ? ...come on Samy...don't waste our money..damn. Sammy should give us a Win Pro like variant. FULL windows on a slab like this would be awesome. kashan, 07 Jan 2014still no 1/1.5 sensor camera :| not even 1/1.8cameras on tabs are not really a priority. who cares about these devices being plastic? as long as they satisfy your needs as a user..
and still samsung sells more devices than any other companies out there. Isn't it the new Magazine UX running on these tablets on top of adroid 4.4?? Notice how the new UI is very reminiscent of the Metro UI. 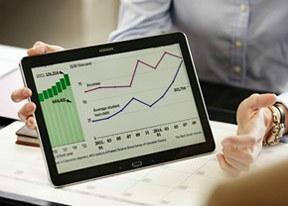 Has anyone noticed at how quickly Samsung can put together these tablets and phones? Sadly, higher specs don't mean better. I'd still take the Nexus 7 over the Note 8.4.